Spirit Hills Way Dade City, FL. | MLS# E2203584 | Real Estate Sales & Property Mangement in Dade City, San Antonio, Wesley Chapel, Brooksville, Homosassa, & Bushnell. 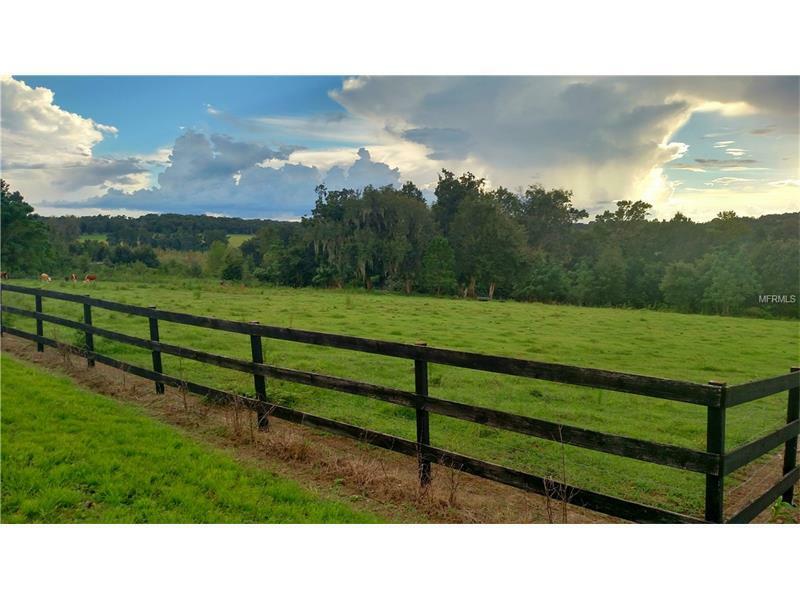 10 acres with a beautiful hilltop view that you can see for miles. Build your dream home and enjoy sunset views every evening. Board fencing along the front of the property with wire fencing on the boundary. Currently there are cattle on the property and there is a greenbelt reduction for taxes. Deed restricted community but horses and cattle allowed. Access to Lake Dowling. Owner financing available with 10% down.